Okay, we admit it! Occasionally, you may find a member of the Highlight Homes design team watching home improvement shows on HGTV. Terrific programs like “Love It or List It” demonstrate the power of a well-planned renovation in transforming a home and can serve as powerful inspiration for our own future projects. However, we are well-aware that major home improvement show junkies also love the DIY (do-it-yourself) programs that encourage them to tackle home improvement projects on their own – which may seem like an exciting and cost-saving solution to hiring a professional. While there are many capable homeowners out there who know their way around a table saw and hammer, there are some that go into these projects – such as a bathroom renovation or (gulp) kitchen remodel – with purely romantic notions of teaming up with their spouse to create something magical from a lackluster living space. According to the U.S. Census Bureau and the U.S. Department of Housing and Urban Development, home owner DIY projects accounted for a little over a third of all home remodeling projects performed nationwide from 2010-2011. In a recent press release from the National Association for Home Builders, the organization warned potential DIYers about unseen safety risks, time investments and hidden costs. Highlight Homes can help you with just about any size and scope of home renovation project including: Whole Home Renovations; Room Additions; Architectural and Design Services; Kitchen & Bath Remodeling; Landscaping & Ponds; Decks, Patios & Porches; Sunrooms; Basement Finishing; Roofing; Home Maintenance and Repair; and Much, Much More! Click HERE to sneak a peek at our online portfolio and visit our Services Page to see a comprehensive list of our offerings. 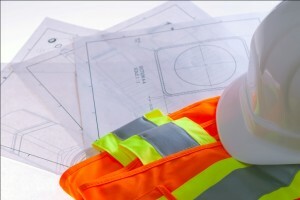 1) A good contractor will know all the permits required to begin construction on your project. Do you? Be sure to do your research to avoid a costly penalty. 2) It might be a good idea to at least bring in a designer or architect to lay the groundwork for you, tell you about the permits you will need, warn against any possible wiring/pipes you may encounter, and give you a realistic account of the potential cost of materials. 3) A professional will be able to get materials at a contractor’s rate, where you – most likely – will not. In addition, they will often be able to complete the project much faster – so if you’re hoping to save time and money by going it alone, you may be unpleasantly surprised. 5) It is vital to know how products effect the environment, your property and – most importantly – your family’s health. A professional contractor will remain up-to-date and understand how to meet the terms of ever-changing environmental compliance issues currently facing the construction industry, such as proper lead paint removal. 6) Buyer Beware! If you decide to take the lead on your project with the aid of a number of inexpensive subcontractors following behind, be very careful. Professional builders and contractors have already gone through the trials and tribulations of how to identify reliable sub contractors. Many professionals have taken the time and expense of putting their subcontractors through rigorous background checks, allowing them to cull through any unscrupulous and unreliable candidates before the job even begins. 7) A good contractor will be fully licensed, registered and insured. In the event that they are injured or a portion of your home is damaged somehow, it’s covered. You might want to take a closer look at your home and personal insurance policies to make sure you can say the same. Before you have anyone work on your property, it’s wise to insist that they provide you with General Liability & Workman’s Compensation insurance certificates – adding you as additionally insured. It’s also a good idea to require that when you make a payment to them that they sign a release of lien rights for that amount of money relating to your home. 8) Consult a professional or structural engineer if you plan to remove any walls, posts, roof framing, concrete or any other supports in your home. It may appear from the outside that any one particular piece isn’t doing much until it is too late, and things can go from a great idea to a grave error in an instant. 9) It’s always a good idea to check with a professional on your heating and air systems. The original system was chosen to accommodate your existing space. If you alter the space or add any additional space, the system may need to be reconfigured to adjust to your changes. 10) Electricity and plumbing can make for a dangerous combination – exercise extreme caution while maintaining your enthusiasm for the work. In the event that you elect to go it alone on a renovation project, we wish you the best of luck! However, if you find the project is bigger than you anticipated, the Highlight Homes team is here to help you! Simply call us at 678-873-9234 , e-mail us at info@highlighthomesga.com, or fill out our convenient online contact form! To learn more about Highlight Homes and our talented design-build team, visit us at www.highlighthomesga.com and be sure to “like” us on Facebook!